Katy offers client centred, non-directive Play and Creative Arts Therapy. She completed her B.Sc. Psychology (BPS Accredited) in 2007 and initially trained as a social worker in 2010. Katy has a wealth of experience of working with a wide range of young people and their families as a social worker but also within a local CAMHs team. This provides a good background and underpinning knowledge of the difficulties that Children and Young people have experienced. 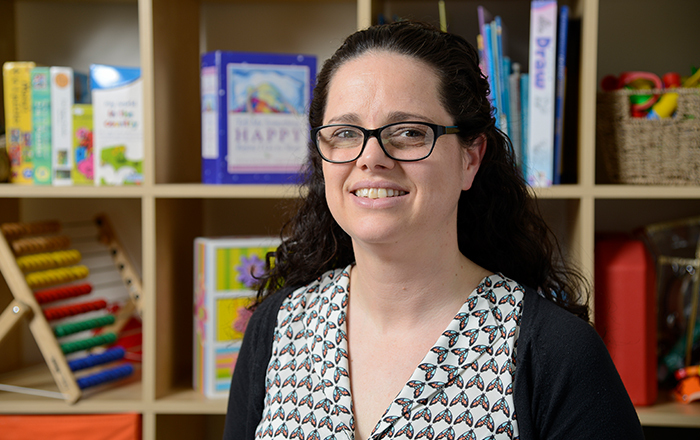 Katy uses a variety of mediums such as the sand tray, clay and creative arts to allow Children and Young people to process their early life experiences in a safe environment. Katy is registered with HCPC and PTUK. As a mother to two energetic boys, Katy is an expert in sleep deprivation. Her skills also include tackling the laundry mountain, opening treats in secret and avoiding standing on the lost Lego pieces. When she can, she enjoys going out running, walking and gardening. If you would like to contact Katy, please call her on 01282 685345.